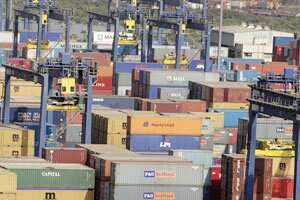 New Delhi: India’s September exports rose 36% to $24.8 billion from a year earlier, while imports for the month rose 17% to $34.6 billion, leaving a trade deficit of $9.8 billion, government data showed. Indian exporters enjoyed record growth in the last fiscal year and have notched robust growth in recent months, buoyed by demand for the country’s cars, petroleum products and precious stones. However, economic turbulence in the United States and Europe, India’s top sales destinations, has prompted trade ministry warnings of a slowdown in export growth for the remainder of the fiscal year ending March 2012.